David Landau has been an exercise practitioner since 1978 and is often regarded as one of the top HIT trainers on the planet. From 1978 – 1984, he ran two successful YMCA Nautilus programs in Ohio and Pennsylvania. 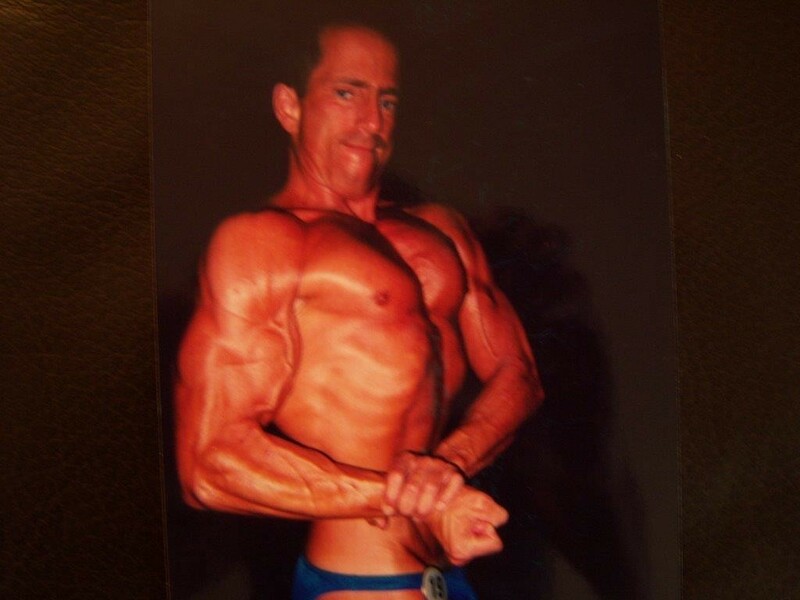 Moved to Florida in 1984 and managed exercise clubs and instructed private exercise before going exclusively solo in 2000. His present business Advanced Exercise offers high tech training in all phases of HIT/Nautilus Protocol. Over the years, Landau has amassed one of the largest exercise archive collections in the country, stimulated by doing extensive personal historical research. He has written several controversial articles as a result and is presently in the process of writing his first book exposing the major Fraud that goes on in the mainstream of exercise. David’s reputation for being brash and outspoken on training and nutrition has turned him into a controversial figure in health and fitness. In this interview, David and I dive into several controversial health and fitness topics such as his disdain towards the Paleo and raw food diets and his concern with a one-size fits all approach to HIT. David is worth listening to solely for his impressions of Arthur Jones. They are hilarious. I enjoyed talking to David and I found his perspective to be refreshingly different. There are some precious gems to be collected from this conversation. Don’t miss out! Let me Clear up something Real Quick: My take on Non Stop so called “metabolic conditioning” Simply makes One Better at Said Circuit or Such Physical Performance and Pathology are Mutually Exclusive. Best interview yet, well done! My honest opinion is, that I am rather disappointed form this interview when I was expecting it anxiously. According to what I have read about and from David, I expected something much, much more in terms of specific examples, suggestions for training etc. After the interview, David posted on bodybyscience.net, that he was not prepared for it. This sounds strange as prior to it in the same forum, there was a bitter discussion and he ultimately declared “listen”! Strangely there were only general points of view. What I partucularly do not like is, the fact, that he deliberately avoided mentioning Body By Science as a good read on training and deliberately in my opinion avoided mentionig Doug McGuff, even he was asked specifically for reccomendations to listeners. This could be his honest opinion, but I think it is really not fair, not to pay Doug’s a tribute. Especially, when I think Doug is creating David a great image at all occasions. From his posts, his site “exercisefraud” and from what he said in the interview, I understand, that he his very critical person and that he is very good at it. BUT D.McGuff, with Body by Science, is on the much harder track – to create, prove and defend a theory. This is way harder than to criticise. Again, expected much more, than just facts about him e.g. diet habbits, that “I do not recommend”, “come to train with me and you will see”, 10/10 does not gage the muscles(how come?) and it is a fixidea(of whom? ), “my training frequency is based on my girlfriend’s comments I am lazy” – sense of humor, but why not something more useful? Also, his harsh comments about James Steele prior to the interview, put him later on in the situation to try to find a way out during the interview and really to make thigs up, so to find a way out e.g. “How can a training scientist do bodyweight”(why not? the discucssion should be about training principles not routines…), “He is moving 10/10…well not actually, but still” and “I expected Hercules”(why? Shall we only take advise from Kai Greene and Co, because they have 50+ arm? David, You are not that type of guy I am sure and you know so much better). Otherwise, at times in the interview, I heared the David, that had to share some very interesting and important things to consider, such as rest between exercises, time it takes to gradually take fat off etc. So in the end, David, in Your Style, Please do not get mad at me, It is just an honest opinion. Honesty with yourself was your advice. Next time please do prepare. Obviously you have much to share, but with another attitude, another style and articualtion, you will serve us, HIT and the exercise world much better! And as this is my first time posting here, please excuse me if writing is not quite smooth, as English is not my native language! Greetings from Bulgaria! Folks: I have allegiance to those as I see Fit. If Lawrence wants to ask me Specifics about the BBS – He can next Time. Note: I wasn’t prepared for the Specific Questions. If he asks me the Critical Questions of what are the Foundations of Proper Exercise – I Promise I’ll make it Perfectly Clear to where You will see the Inconsistenciesof your said protocol. It is True that in Order to understand my approach – You have to be there up close and personal. FYI – I said I had the utmost respect for John Little and You should Never tell a person who they should “honor” I promise you if I am asked about the objectives and definitions of exercise – get your Notepad Ready. I will articulate them like you won’t believe! Stay Tuned! David, thanks for understanding! People like you, who not only “do the talk, but do the walk”(by the way it is a little frustrating, that HIT guys like you – in really good shape are only a handfull), should really get much more attention/interiewed and should be listened to! I will definitely stay tuned! I am a little sad, that US is ways away form my country, as I would really love to sign for a class with you in your gym. I also am sorry, that in Bulgaria HIT type of training is really not popular at all. By the way, I am not sure if you are aware of the works of some russian proffessors in physiology e.g. Vadim Petrosenko and Viktor Seulianov?! Actually they do have conclusions on building training routines, that seem to have lot in common with the HIT logic and what you would call “sane muscle buliding”. Interestingly though their protocols are based solely on research of physical processes that happen in the muscles and I never encountered something like gynotype as a factor to be considered, unlike what seems popular “consideration” in alsmost every HIT article that I have read from “western masters”. Thanks David. Is the following a book: “Questions, Objectives and Definitions and History of Super Slow”. I can’t find it online? There are some really interesting comments on here, and in practice and application I would agree with most of what’s said. But in reference to building muscle and strength (as a product of motor unit and muscle fibre recruitment) there are implications that moving slow or doing bodyweight exercises are not optimal or at least as efficient as moving quicker or using external resistances. I think it’s worth clarifying to readers that there is categorically no evidence to support the use of any resistance type beyond any other for muscular adaptations (strength and/or hypertrophy). The comments around ‘gauging the muscle’ are unclear to me (perhaps explain? )… but the point of exercise, as clarified by David is to catalyse adaptation, so it’s about MU and MF recruitment both of which can be achieved by bodyweight, dumbbells, variable resistance machines, etc., with no apparent differences between (even the now controversial X-Force – although when I contacted them to do a research study they did not reply!). . there are multiple studies showing increases in strength and hypertrophy using bodyweight or tonic force co-contraction without external resistance. Fundamentally muscles don’t know what they are contracting against – they either contract or relax. Simple. We really shouldn’t overcomplicate this and let other biases (I love MedX and Nautilus too, I also love Hammer Strength) get in the way. Perhaps the only other consideration is that if a set of exercise takes too long then central fatigue (and boredom) might kick in before complete MU and MF recruitment has occurred. To the best of my knowledge there is no optimal time scale for tension of muscle for adaptation when MU and MF are maximally recruited. The size principle says it all and we’ve known this since 1938 (Denny-Brown and Pennybacker). Great points James. Thanks for your contribution! 1. The set should be taken to failure rather in the 30-60 second mark! In that time, most of what is to happen in terms of contributing to addaptation chemical processes in the cells, has happened and futher time under tension falls in the deminishing returns category. By the way “to failure” is defined rather as a necessity of achieving high level of stress, resulting in abundant hormone production. 2. If a second set for the same muscle group is to be performed (also acknowlegding that returns are deminishing, although there certainly are some), it should be performed no sooner than 5-10 minutes!!! after the first/previous one, depending of the size of the muscle group. And this long rest should be “active rest”, either some walking, streching/shaking of the muscle AND/OR training an antagonist group in the mean time. This notion was tied to piling up of hydrogen atoms in the cells, that when accumilated in high amounts may have more damaging effect, than what can be repaired during recovery, so the idea is to clear the muscle of certain chemical products as much as possible, before attempting another set. This reminds me of David’s view of “resting between exercises/sets” makes more sense then rushing and not only for psychological reasons. All of the above in the sense of the “stimulate, do not annihilate” advise, really brings up interesting questions. 30 – 60 may be prudent in “some cases” as force production potentially peaks, therefore stimulus can be optimized. Many Case scenarios so called “failure” here can peak – longer “tuls” is where the lulled force wanes – but again objectives and individual aspects VARY. David, it’s absolutely true, that “objectives and individual aspects VARY”. Nature did a great job making us so very complex, that it’s clear no single approach will adress all aspects. One size does not fit all as you clearly said in the interview. I just think that the VARIABLES in the equation are not well presented to the public and how changing their weight Varies the outcome. This is not well understood (at least widely) and payed attention to and to an extend has to be defined yet. This in my opinion is the reason why, we shall stive to collect all possible data of various experiences. And specific findings/reccommendations too, but of course in the certain context. After all, the simple law of gravity, that we all obey, has countless Variable effects on everythig, depending of the weight of it’s Variable. Like Kamen, I was extremely disappointed in this interview. David didn’t explain his methods and the rationale/principles that guide them. To blame it on a lack of preparation doesn’t cut it. He knew he was going to have to answer the quote about James’ BW routine being “full of paradoxes” and was still caught in the headlights like a deer. The only valid argument he had against it he almost forgot to mention. And to suggest that Lawrence didn’t ask the “critical” questions is non-sense and reeks of some sort of Jedi like attitude. But if he truly believes that, it is HIS (non-ubiquitous use of caps intentional) responsibility to take control and deliver the message he wants to convey. He defaulted to n=1 (yep we know, but guidelines/principles),”you have to see it in person” (alrighty, let me hop on a plane), “gauging” the muscle (WTF- define the term! ), and motivating the client properly (techniques, philosophy would be nice) on nearly every meaningful question Lawrence asked. One only need look at the show notes to determine the lack of info he presented. 25+ minutes rambling on about Arthur and Paleo. 50 seconds on BW exercise. Having said this, I will still be eagerly awaiting part 2 with notepad and pen in hand, ready to learn. His passion for his clients, his own physique success, the results he achieves with his clients, and the knowledge he has acquired over his 37 year career is unquestioned. And Lawrence, I agree with David’s comment here. The references you provide in the show notes are awesome and often as beneficial as the interview itself. Simply the best podcast around! This is why I won’t take a Dime “internet consultations” because No Matter How Hard I would Try, I could Not give anyone any Value unless I saw them in Person. The written word also tends to put all in one bucket. That’s why in Part 2, I will cover History, Objectives, and the Landau Definition of Exercise. BTW: I have access to 4 of the Most Effective Sophisticated Exercise Machines ever made, being counter culture, it’s a result of the Culture at Large that has Returned to Primitive Means. That by itself if Viewed in a Larger Picture is a Frightful Direction. Can You see what I mean? The folks are always looking for some sort of science while ignoring History. That’s why I see things the way I do. Like Bill Pearl once told me – training to Failure is like seeing how far you can stick an ice pick into your eye. Things to think about! Looking forward to part 2. David I think what does come across very clearly in your writings and interviews is the individualism apsect. Don’t do anything too crazy like trying to lift too much weight or throw the weight but other than this there is ALOT of room for experimentation/variation. Enjoy your workouts. Work hard/stimulate! But don’t annihilate as you say. David is an excellent trainer. I never leave a session feeling or thinking that I could’ve trained harder… On one or two occassions I experiences nauseating fatigue. But that may have been correllated to eating too close to the workout(?). 1) What are some recommendations for training for people in the aviation industry? I’m a Flight Attendant and my work requires 70-100 hours of flying per month; crossing time zones; varying work report and release times; limited choices of equipment/gyms etc. ; varying sleep and eating patterns… Etc. etc. 2) What effect, if any, does nicotine consumption have on strength and hypertrophy outcomes if training variables don’t differ between a non-user and a user; and specifically the nicotine consumption is via a personal vaporizer and NOT through traditional cigarettes? Dave claims that he saw people actually lose muscle doing 10/10 rep protocol or Superslow. But what evidence or proof does he have to substantiate that claim ? He claims that Fred Hahn lost size in his arms utilizing Superslow protocol as well, yet again i have nothing apart from his word to go on. I’m not calling Mr Landau a liar but even if it’s true that Mr Hahn lost size in his arms using Superslow what am i supposed to take from that ? what does that prove ? Does that prove that Superslow is ineffective ? I don’t think it does. There may be many reasons why Mr Hahn lost size in his arms that may have nothing to do with Superslow. I enjoy listening to these interviews as i’am a HIT advocate and have been training using this method for quite some time now. But i’ve become somewhat suspicious of so called training experts and the use of the word expert period as i don’t think that any such thing exists. I’m not saying that very knowledgeable people in various fields don’t exist, but i think that we must be cautious of using labels such as expert when describing individuals. When we place certain individuals upon a pedestal or lofty position above the rest of us as if they are in possession of some type of secret or special knowledge, it prevents us from critically and logically assessing what they say. John Little made a great point in his interview that some HIT advocates act as if they are in possession of some Rosetta Stone when it comes to this methodology. But the truth is that there is no training routine or method that’s going to instantly slap pounds of muscle on anyone. Whether it’s 4/4,5/5,10/10,20/20, what difference does it make ? As long as your training with a high level of effort you should be able to attain results using all these and more. Hey Enlite, I agree with you. Regardless of the cadence, I don’t think it makes a lot of difference in terms of hypertrophy. I also whole heartedly agree that one should always remain skeptical. Each and every interview on my website should be taken with a pinch of salt until one has experimented with the findings in their own life. There is still so much up for debate in this area and new discoveries are made all the time. Thank you for leaving this comment. Your welcome ! Great interviews !